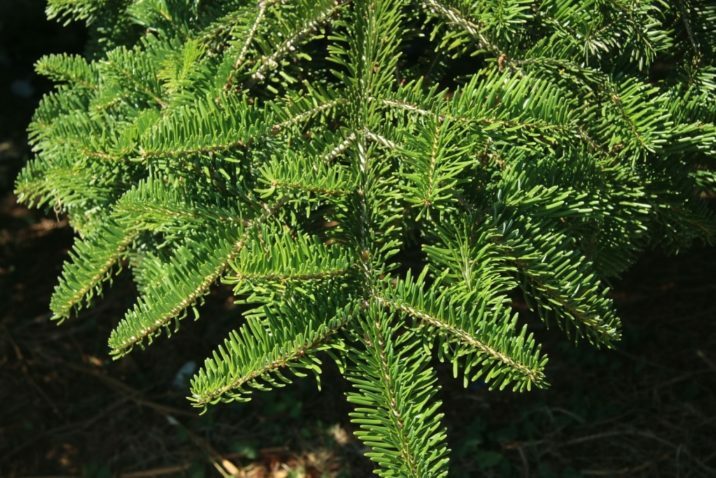 Abies chensiensis as described in 1892 by Phillippe Édouard Léon van Tieghem (1839–1914), in Bulletin de la Société Botanique de France vol.38, is commonly known as Shensi fir; as well as 秦岭冷杉 (qin ling leng shan) in the Chinese language. It rarely seen in collections or in cultivation in the United States. 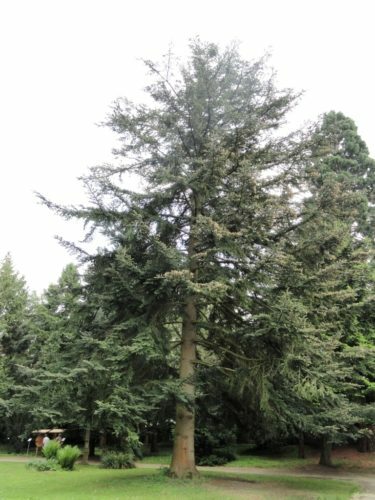 Van Tieghem discovered it growing in a mixed conifer and hardwood forest in the mountains of central and southwestern China. Description. 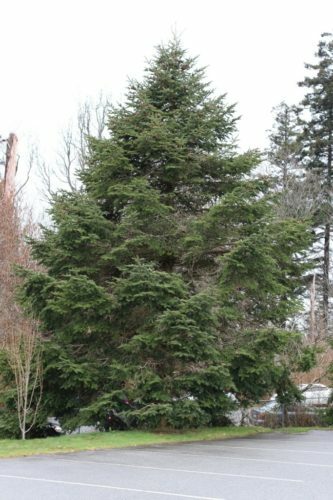 The tall, distinct Shensi fir in its native habitat will grow over 120 feet (40 m) tall, often with trunks that exceed 6 feet (1 m) in diameter, measured at breast height. Bark, with age, becomes dark gray and splits into long ridges. 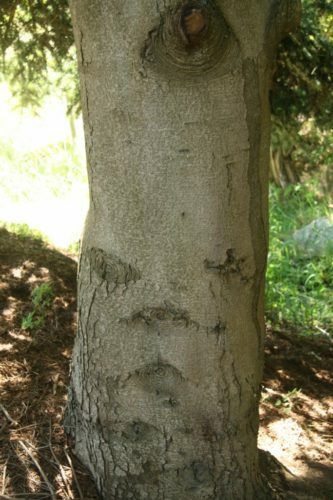 Branchlets are hairless when young, except for a few hairs that appear in the grooves between the leaf bases. 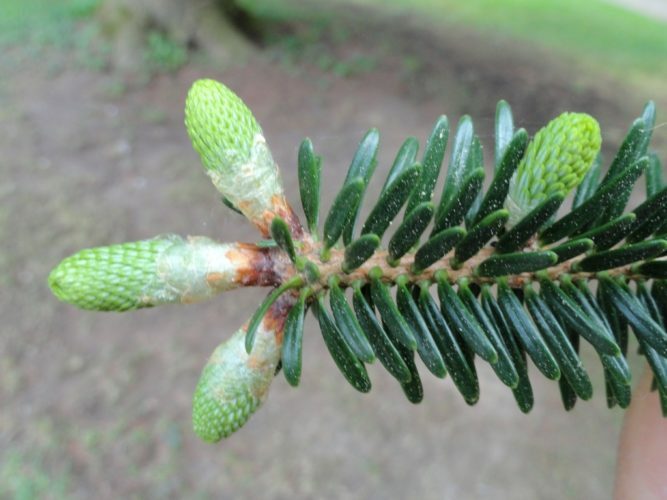 Foliar buds at the tips of the branchlets are about 0.36 inch (9 mm) long and are covered in a thin coat of resin. 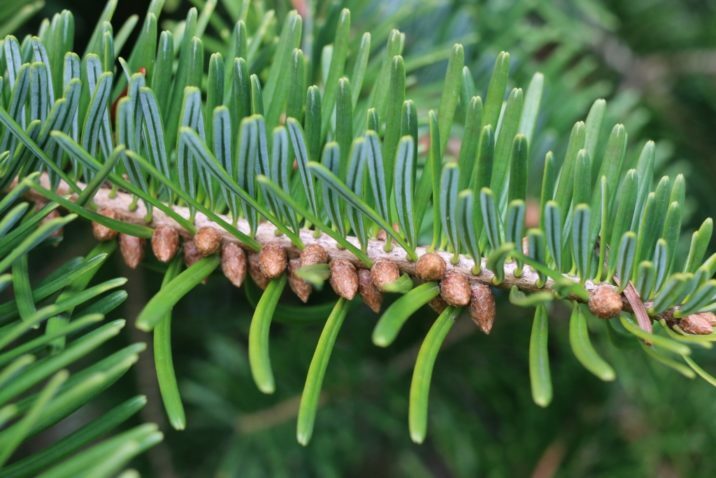 Leaves (needles) are arranged in a pattern to the sides of the branch along several rows and spread out flat or angle upward with a distinct v-shape between the rows. 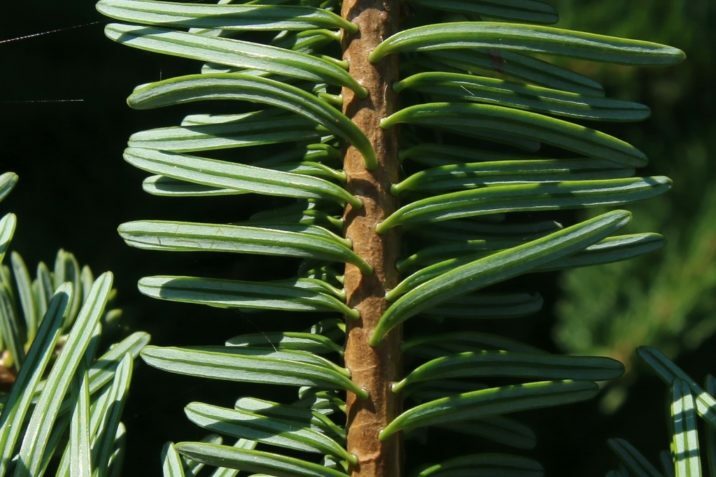 Individual needles measure 1.5 inches (3.75 cm) long, shiny bright-green above with grayish-green lines of stomata below. 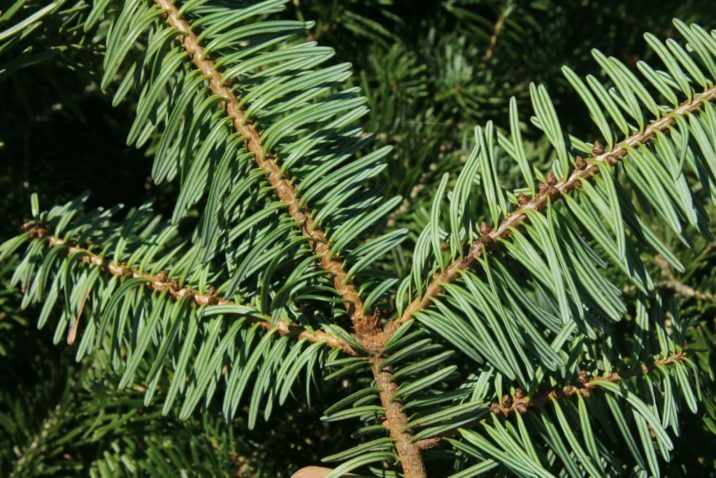 The long and linear needle has a rounded, often notched apex on the lower branches and on new growth, but can change to a more pointed apex on the upper branches. 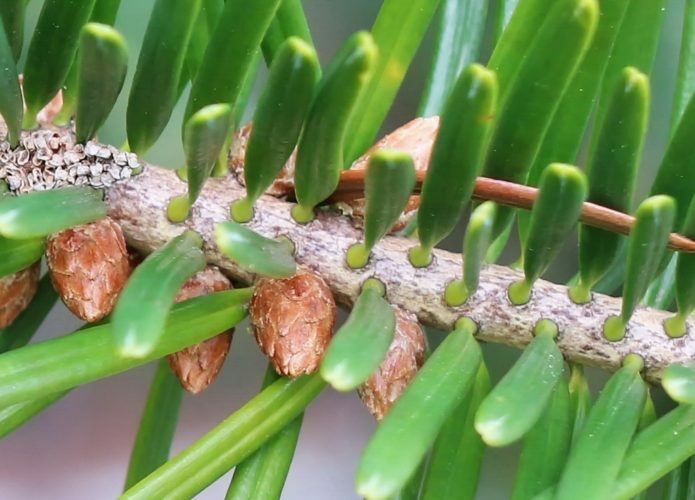 The suction cup like foot where the leaf attaches to the branch is common to firs, unlike the spruces that bear their leaves on short woody stems called sterigma that remain on the branch after the leaf falls; a key feature between the two. 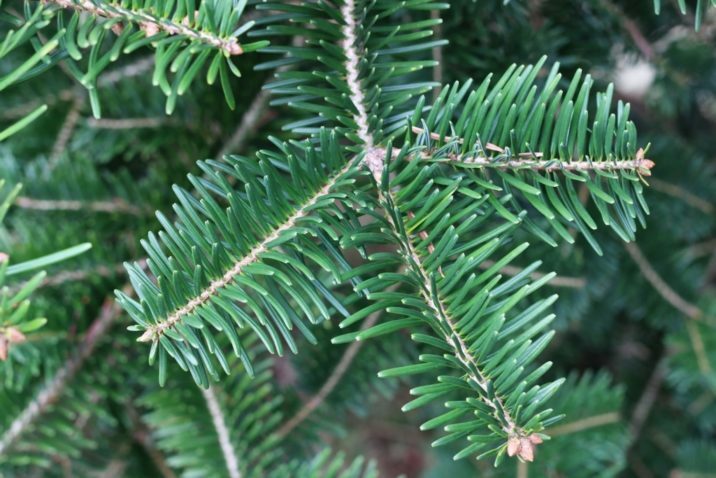 Fir needles remain attached after cutting longer than the spruces, making them more desirable for decorating. 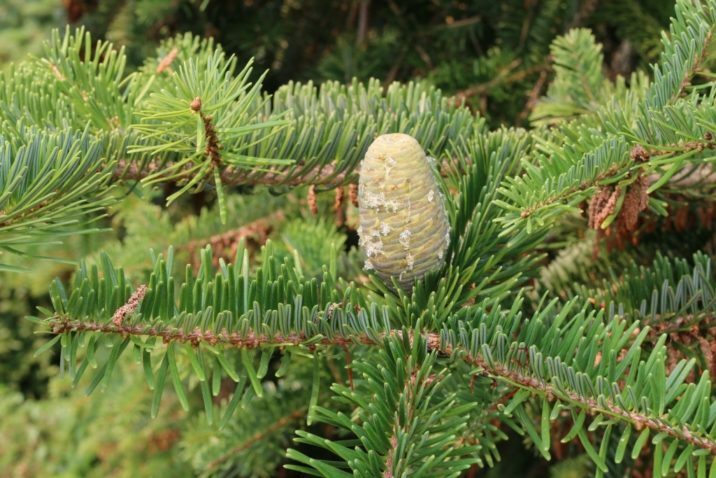 Pollen cones are small and inconspicuous measuring circa 0.36 inch (9 mm) long. 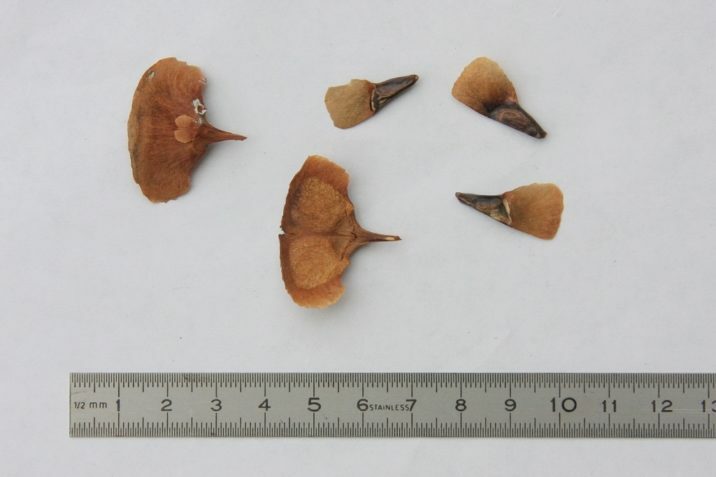 Seed cones measure 3 to 4 inches (7 - 10 cm) long. 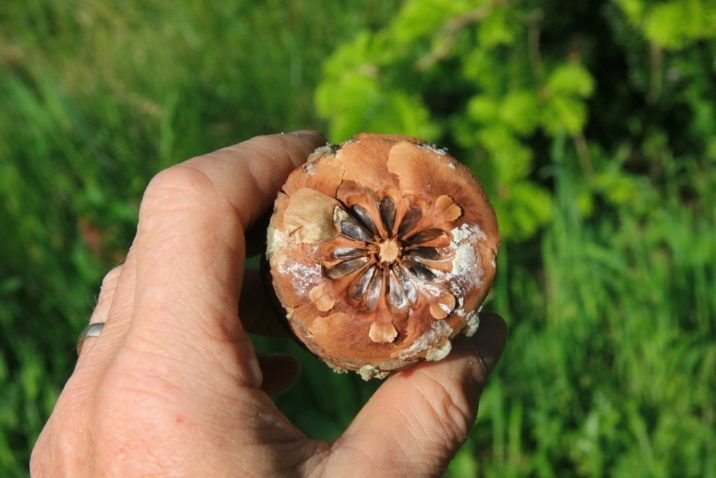 Standing upright, the cylindrical or elongated egg- shaped seed cone is green when young then turns to cinnamon-brown as it matures. 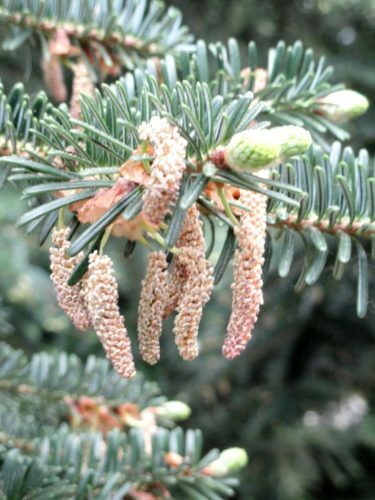 The 2 inch (5 cm) diameter cone remains on the tree while it disperses the bracts and seeds, and leaves only the interior central stalk. 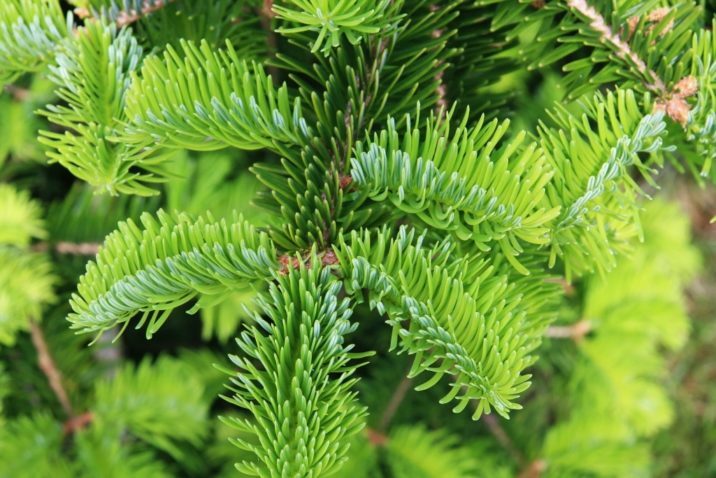 This is unlike the spruces that keep their bracts, and the cone falls intact. Distribution. 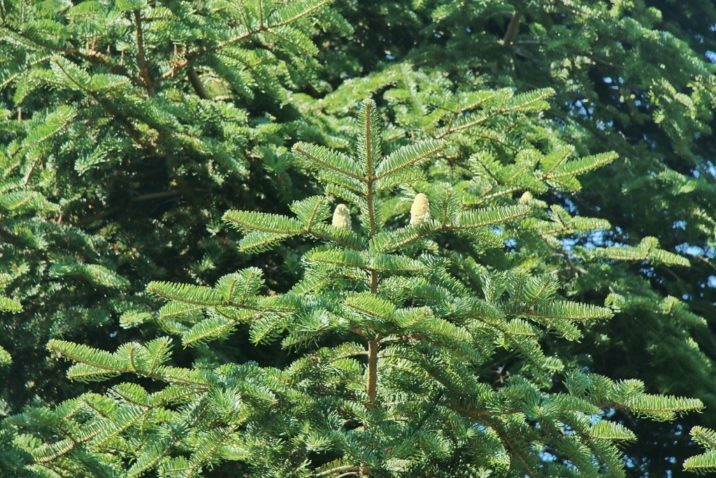 This species is native to China — southern Shaanxi and western Hubei provinces in the highlands, in southern Gansu, western Sichuan, and southwestern Henan provinces; Aljos Farjon in an article written in 1990 also places it in southeastern Xizang and northwestern Yunnan provinces as well as India — Arunachal Pradesh. 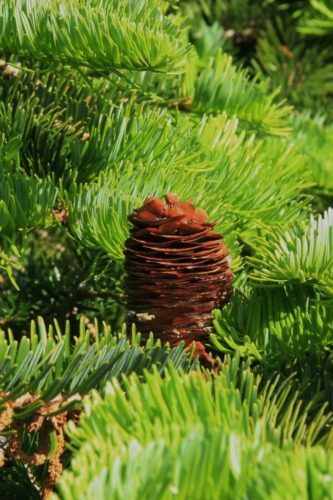 It grows in cold, moist forests at 6,000 to 11,000 feet (2,100 - 3,500 m) elevation, in regions with 30 to 60 inches (1,000 - 2,000 mm) of annual precipitation. It prefers rich, deep well-drained soil and does best on protected mountain sides and in mountain valleys.